Peonies, peonies, we’ve got you covered! From a plethora of domestic sources to California, and from Israel and Holland to Chile, we source the entire world to offer an almost year-round program to our valued customers! It’s safe to say that if we don’t have Peonies in stock, they are truly not in production anywhere in the world! 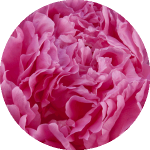 Various shades of pink, red, blush pink, even yellow and whites, and cremes; Peonies come in many colors.